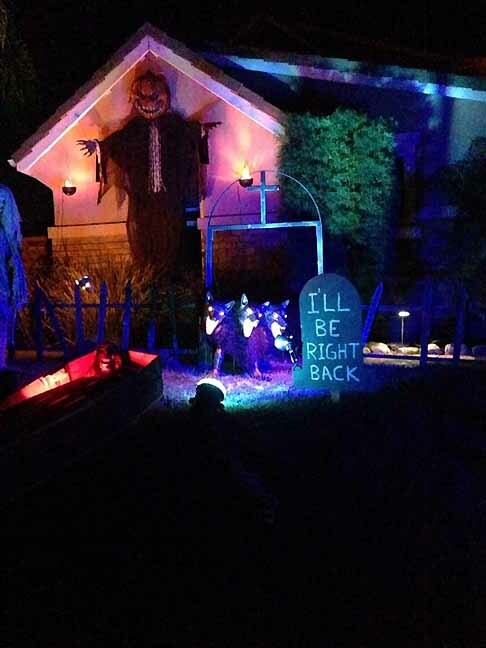 This amateur Halloween attraction has been haunting since at least 2002. 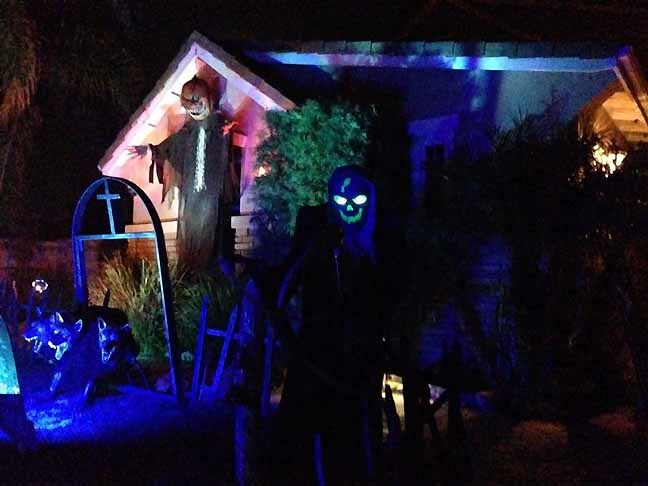 It resides in a cul-de-sac Dos Vientos, an upscale neighborhood in Newbury Park (a community in the western portion of Thousand Oaks). 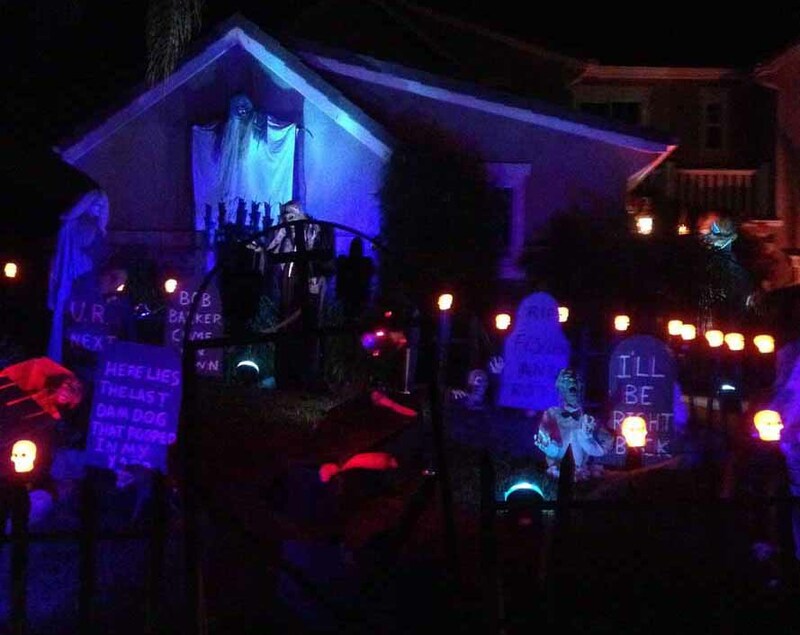 The immense front yard is filled with coffins, skeletons, and tombstones, while a silently screaming face flashes in a second-floor window. 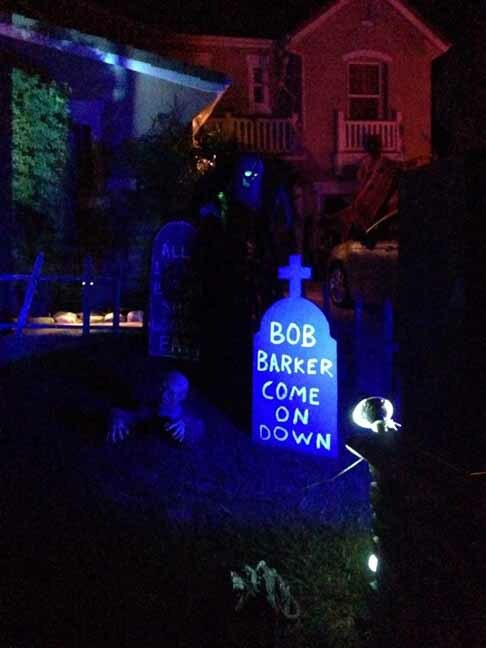 The defining feature of the Via Del Lago Haunt is jokey inscriptions on the gravestones ("Bob Barker, come on down!" 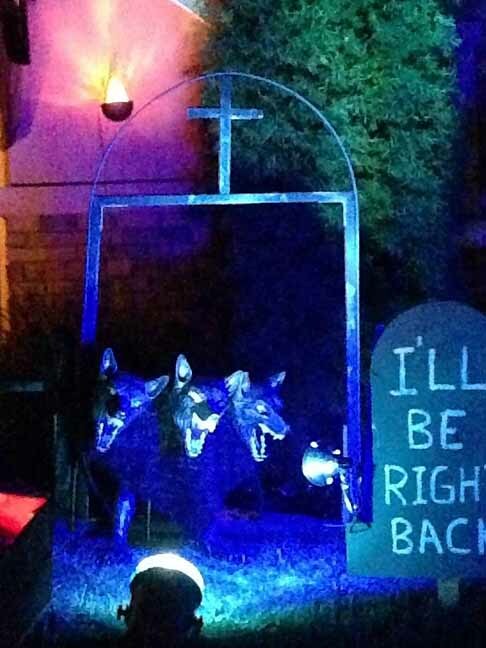 "Here lies the last dog that pooped in my yard"), making this a perfect place for neighborhood trick-or-treating (one or two other houses are getting in on the act). 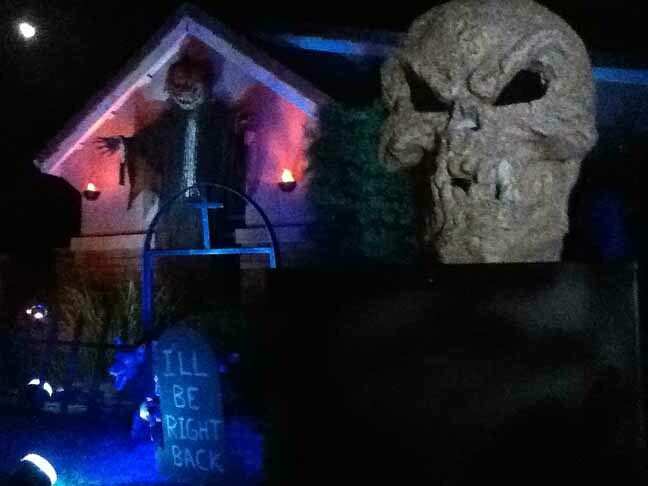 We understand that on some years there is also a walk-through component on Halloween Night, but we have visited only on an off-night in 2014. 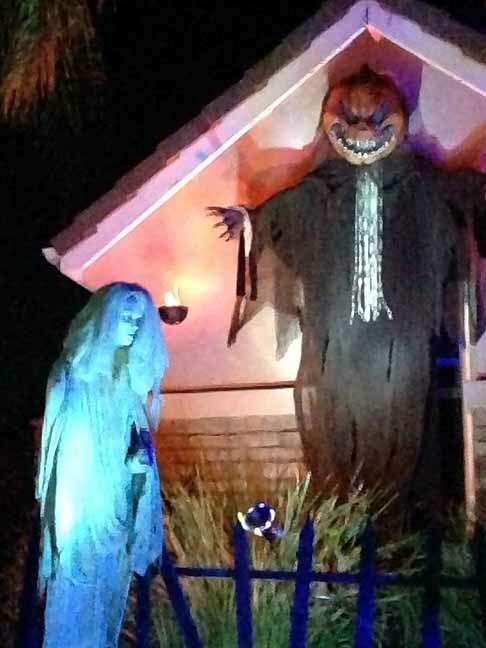 We suspect that any scares on Halloween night would be more whimsical than terrifying. 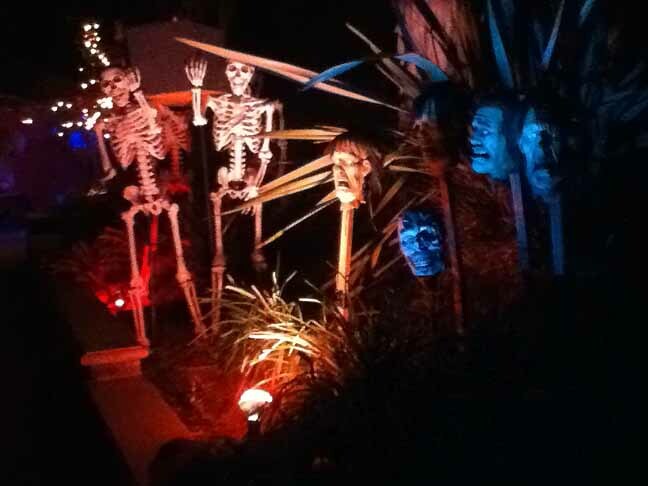 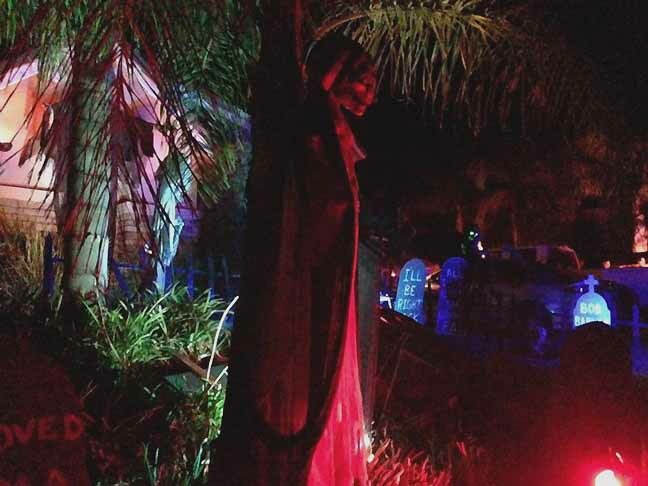 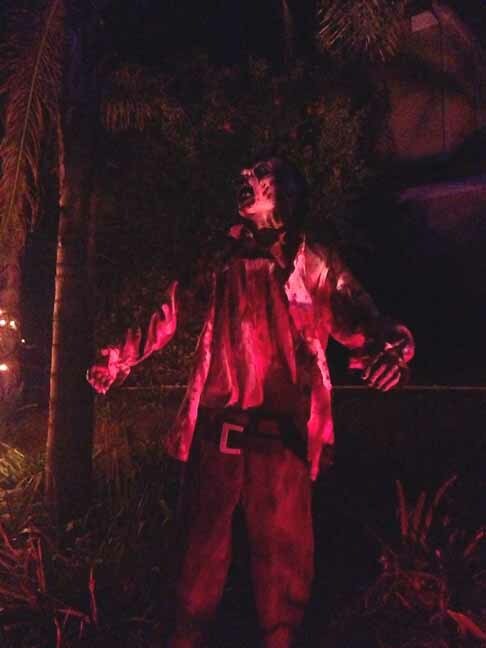 The Via Del Lago Haunt has no visible web presence to announce its schedule, but decorations are up well before October 31, and the lights are on until at least 9pm.